Yesterday I posted on Instagram about how I want to add a bunch of patterns to my shop this year, for all types of soft toys (this is in addition to the Make-Along doll series). I had been waiting for my book to go out of print so that the rights to the patterns would revert back to me and I could offer them in the shop for myself. 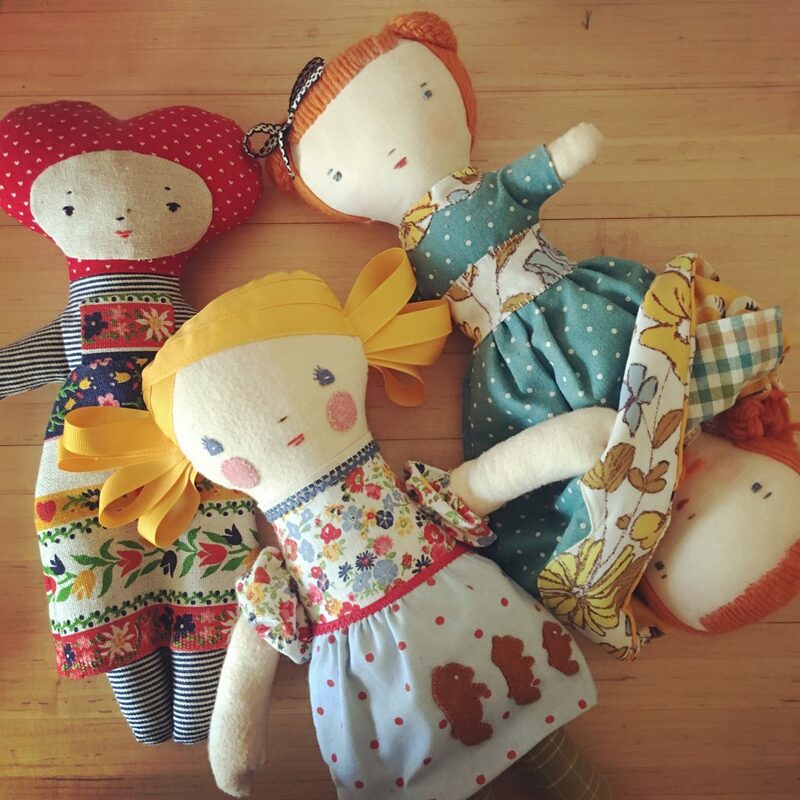 I’m realizing that is not going to happen any time soon so instead I’m going to dive in and self-publish a follow-up to my book, of sorts, with new patterns for toys to sew & love. This way I can sell them individually or in bundles. I was even thinking about being super old school and going back to selling printed patterns as well as PDFs. Is that crazy?? I guess we’ll see. As I said yesterday I have lots of new and old ideas. I’d love to work on new versions of some of the design ideas from the book, like a new topsy turvey doll, a new ribbon haired raggedy ann type doll, more folk inspired designs. One thing I just realized this morning was that unlike when I was writing the book 8 years ago, I won’t have to keep everything a secret! I can share all my works in progress, my ideas as they develop, my mishaps and successes. That was really a heartbreak for me all those years ago. I was so connected with my maker community and just loved the interactions and friendships and shared experiences involved with crafting together, and then it just went dark. I had to be secretive, absent and solitary, essentially going against every reason I’d started crafting and blogging in the first place. I don’t know why I’m remembering all that now. ¯\_(ツ)_/¯ I guess I’m just excited to be excited about designing new toys again! Exciting! Can’t wait to follow along! I am sooooo excited to hear new/old patterns are in the works. I LOVE your designs. Can’t wait! I just got your book for my daughter. She’s been saving up for the Make along series and I’m so excited to gift it to her for her birthday! I love that you are going to be doing even more patterns to fit the series, I’m sure we will be getting each one! I’m excited to see your new patterns, and follow-along with the process! the secrecy stuff is hard. i love the idea of a self-published addendum. so smart! I am excited to see your new projects and I personally like the old school printed patterns. I still have your kitty bear pattern I bought years ago when my daughter was young. I don’t get me wrong I like digital for instant gratification but there is nothing like having something printed in hand. This is a GREAT idea – can’t wait to see what you’re up to. And by the way it’s also GREAT that your book isn’t going out of print any time soon! !